Whether you a yoga teacher, a practitioner of yin yoga, or are just curious about the practice, this training will give you a thorough understanding of this deep and rewarding style of yoga that synthesizes the focused power of meditation with the physical benefits of yoga and breathwork. 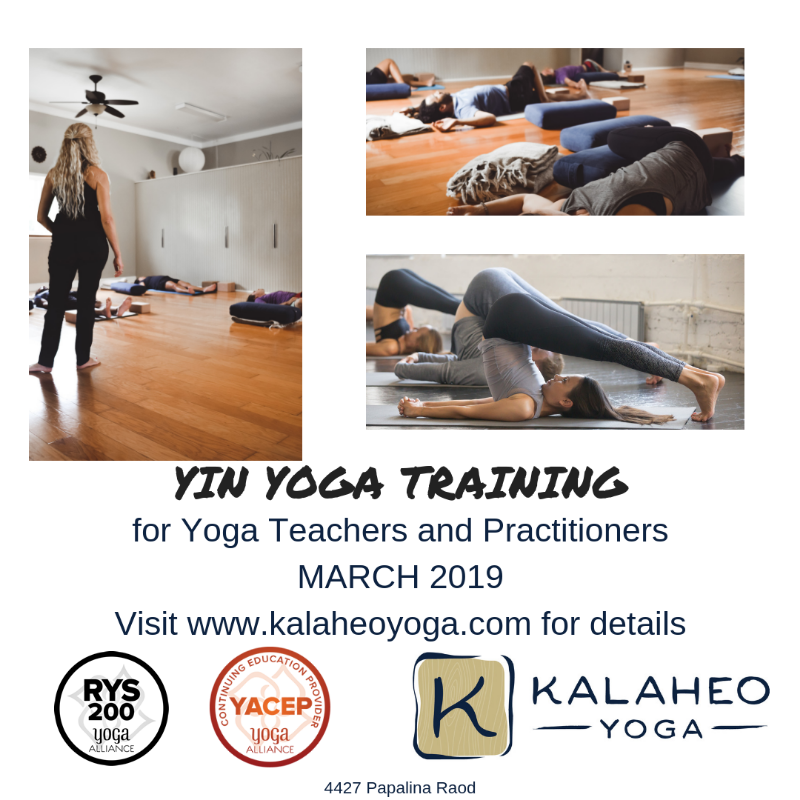 Module One Begins March 08, 2019–visit https://kalaheoyoga.com/yin-yoga-teacher-training/ for more details and registration. Early bird pricing ends February 01 so register today!